Hi folks , the purpose of this thread is to share my insights and hopefully gain some from more knowing individuals ,my background is 30 years’ experience in the building trade specializing in stone work (chalk, flint and sandstone) but give me a piece of land and I can build you a house from start to finish. I apologise for any bad grammar or spelling from the offset, as time served on the building site equals less time in the classroom. 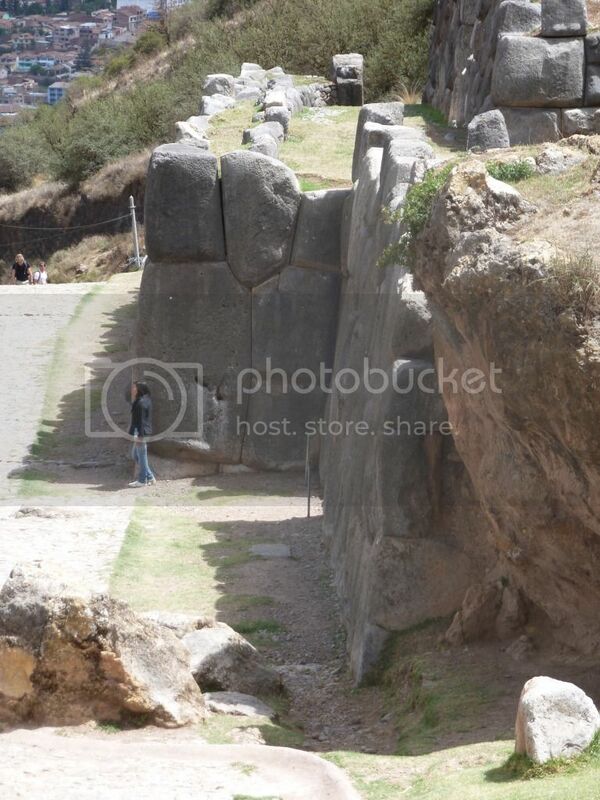 Please feel free to comment as we take a look around Peru and Bolivia’s ancient sites. 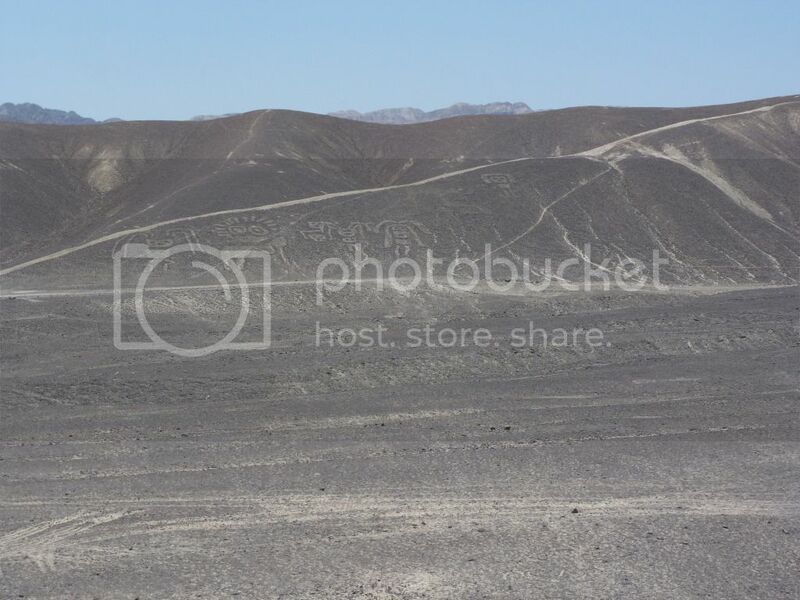 Day 1 was a long eight hour bus ride from Lima down to Nazca, Apparently we passed an observation tower but it was too dark to find, or use. 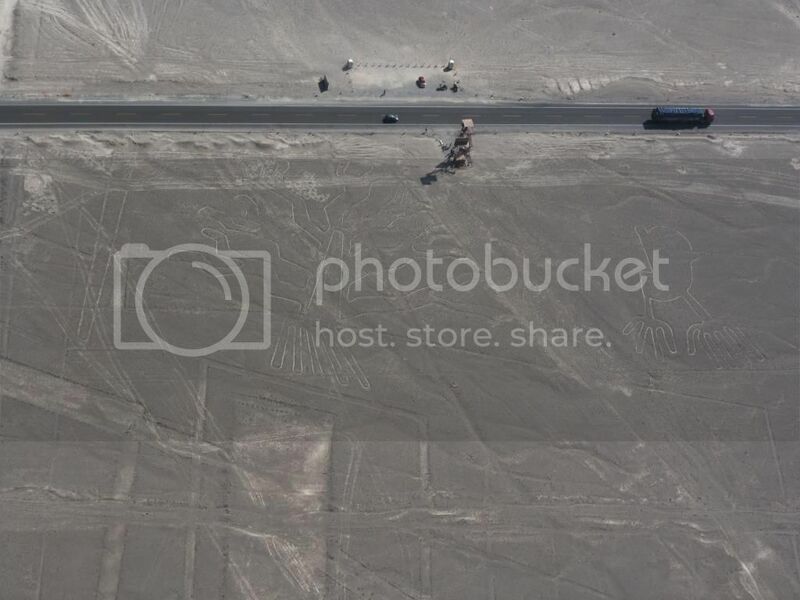 Early start to the Nazca lines, the wind picks up after 11am and you get a rougher ride and if it picks up to much you don’t get to fly, it was also good to hear that their safety record has improved since the last crash. 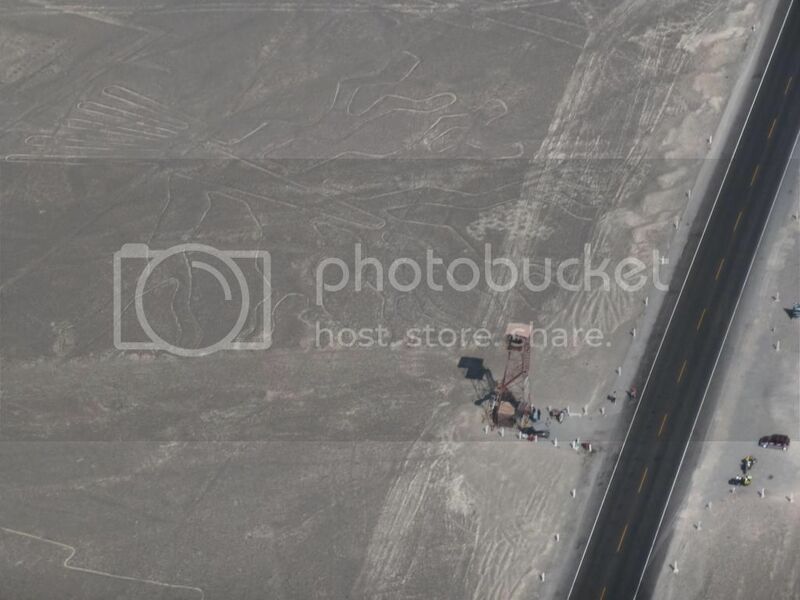 There are loads of images of the Nazca lines on line, so I won’t bother with my lot , you only get 30 minutes in the air and by the time I had missed my first half dozen I just decided to take it all in rather than watch it through a view finder. 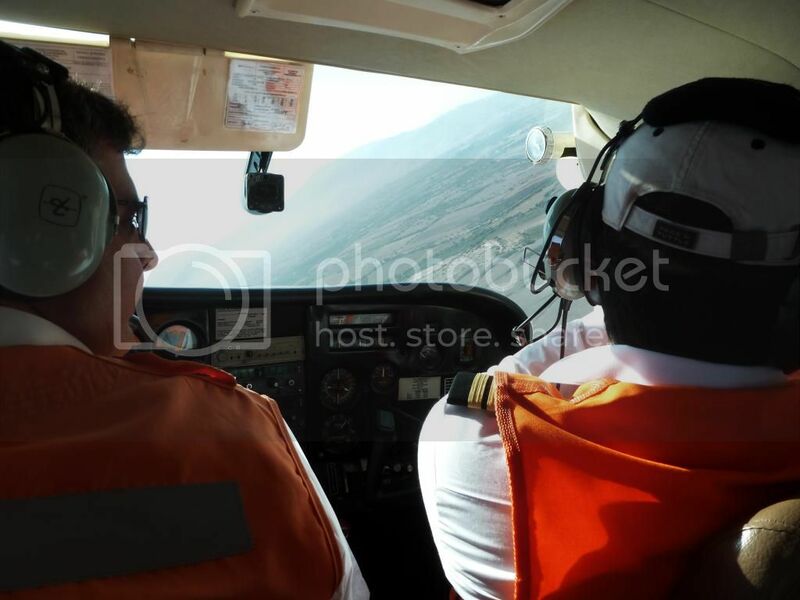 The pilot shouts look left or right and then banks the plane over to see the object he’s shouting about here is a look right moment. On our next buzz past I wondered how much you can see from that tower. 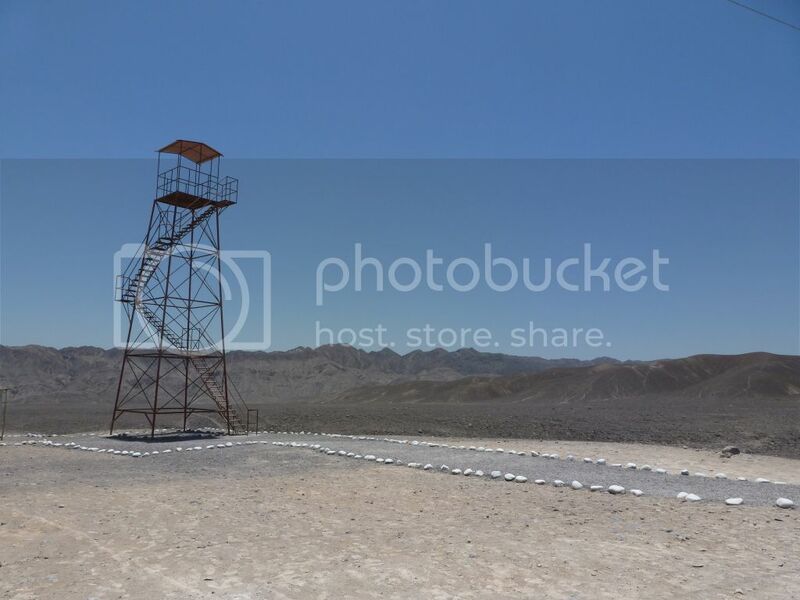 Well they didn’t call it an observation tower for nothing and you can see quite a bit as it happens. 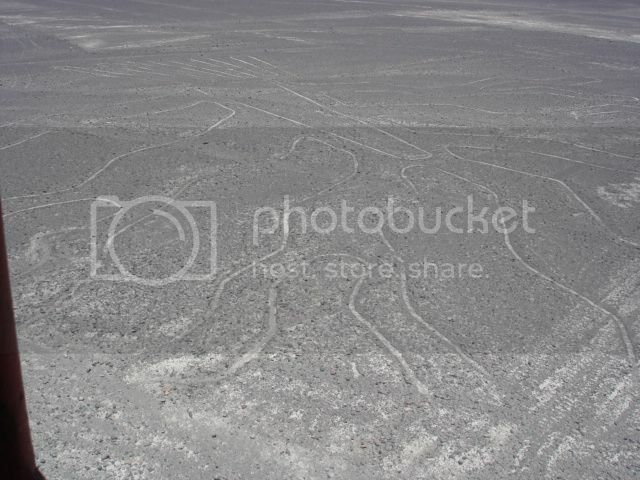 The lines are formed by removing dark rocks from the white sand and mistakes could be easily rectified. My conclusion is they are easy to reproduce with a tower and the bigger the drawing the higher the tower, or you add more towers. Why they did it is another matter. Next stop Cachucha home to the Nazca. The dust track to this location is normally accomplished by 4 wheeled drive or 9 seater dune buggy ,not a coach which was my unfortunate mode of transport ,still good fortune was with us and the driver juggled between going fast to glide over the quick sand and steering madly to avoid tipping over. The Cachucha is an adobe mud brick complex built between 100AD to 600AD, and unfortunately there’s not much left due to the extensive plundering from the Spanish conquest (1533 AD)and this is still going on to this present day. We had to view this site from a distance as there is still a dig in progress and excess is limited. On the way back we had our first encounter with the elongated skulls first in a Nazca graveyard and then in a small museum. And here are the figures seen from said tower. Personally I wasn’t impressed; these figures could have been done yesterday and the place screamed tourist trap. 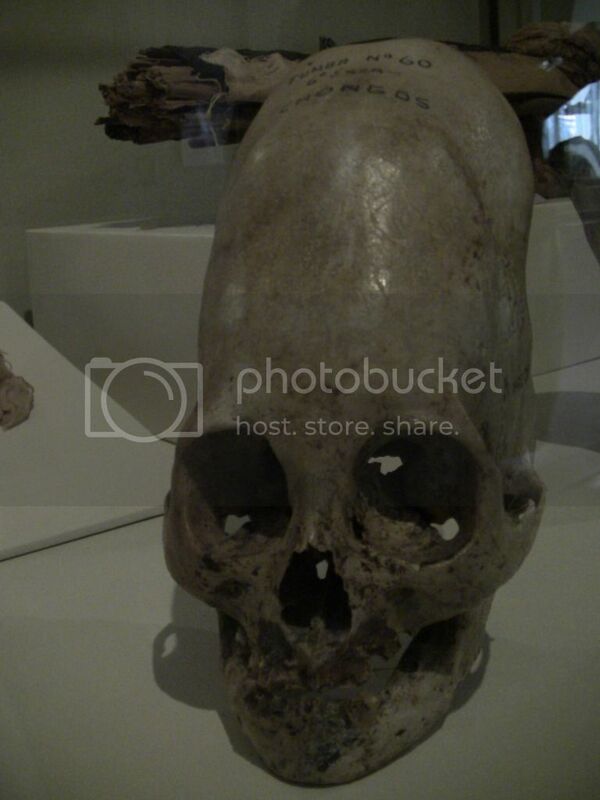 Onto the Ica museum where the largest elongated skulls are kept. I managed one photo before the curator screamed “no photo’s no photo’s” and proceeded to keep her beady eyes on me, I did manage to sneak some film of the displays but I was disappointed in having to sneak around like some sort of spy on a mission. 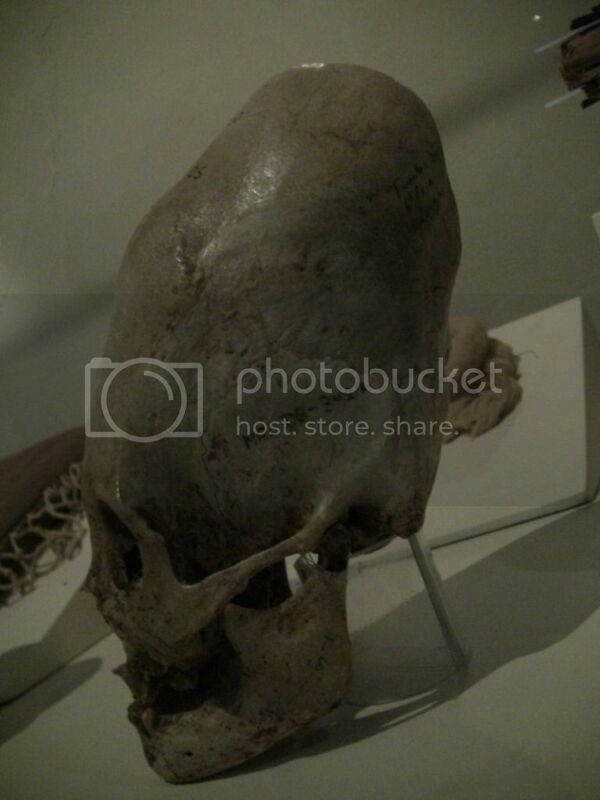 These next two images are thanks to Brien Foerster and this is the largest skull on display. Why you can’t take photographs is a mystery but when I asked the curator she said the order came from above and her job was on the line. 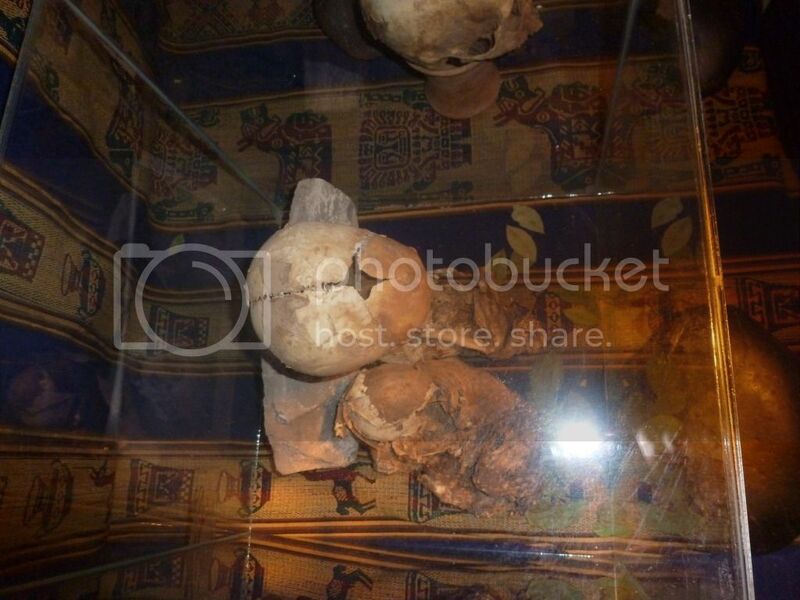 There is also a section screened off from the public with wall to ceiling cases of skulls, the rumour has it that these will be spirited away from the museum and into private collectors hands never to see the light of day. Film footage was taken from behind the screened of portion by a classic diversion tactic pulled off by two determined photographers. I’ve seen the footage and will share when it becomes available. Next stop the ica stone museum where images of dinosaurs and men are depicted together. Here courtesy of Brien is a short film from that museum. here are a couple of images from my camera in the adult section of the museum. The story of these rocks goes something like this. This man’s father who was a practicing doctor moved to the area fifty years ago, he started excepting these stones from the locals as payment for his work. They came from a mine not far from Ica where nowadays it is protected by the local mafia who forbid anyone from further searching the area. To be honest I was thinking who was the most gullible between us both, and it was probably me for paying him to stand their listening to his stories of how ufo’s used the Nazca lines for landing strips. 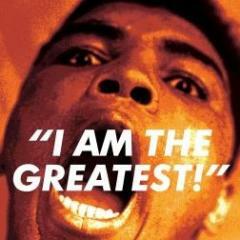 Enough said about this man as to be honest my eyes glazed over. 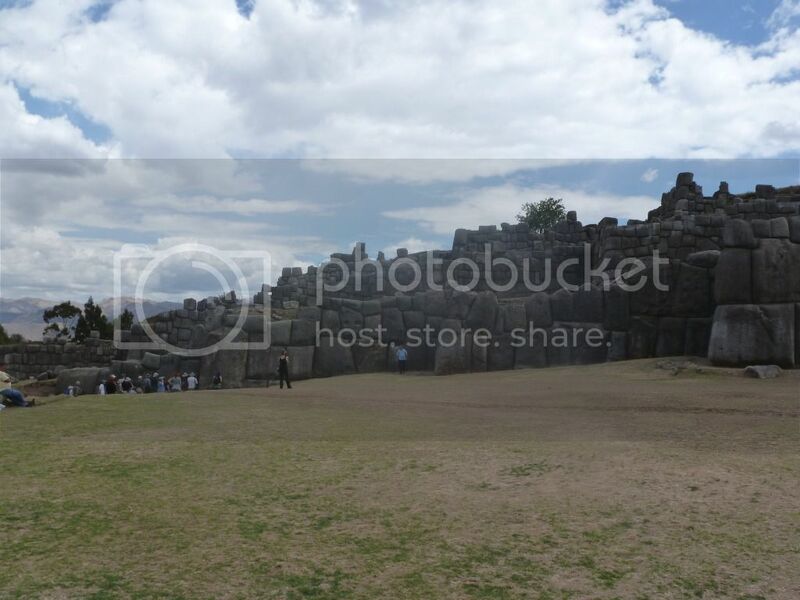 Next stop Paracus and then onto Cusco. Nice pics mate. As said by others, keep them coming. 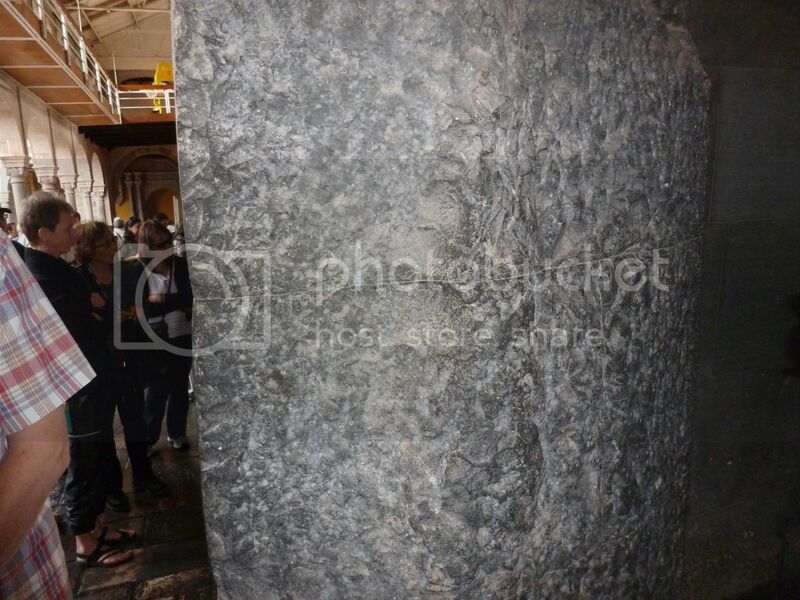 One observation though, is it just me or do the engraved stones seem rather phallus related? 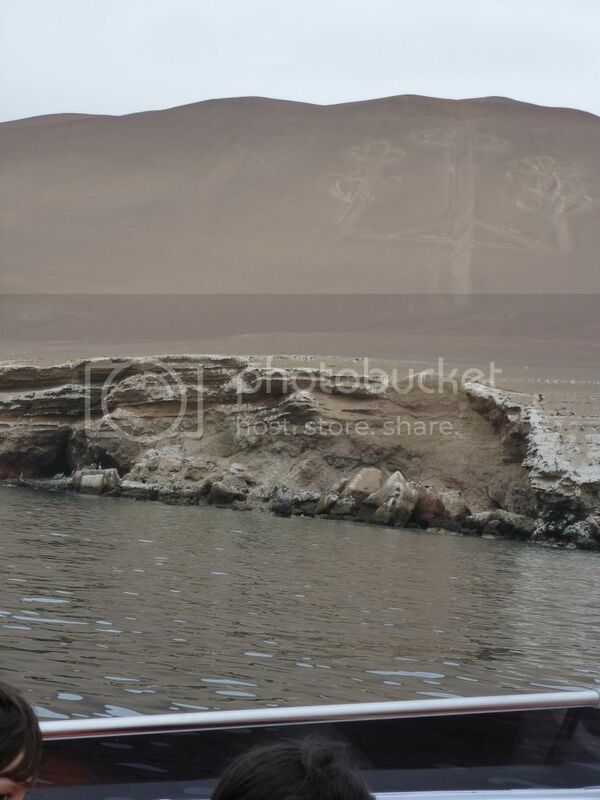 The local guide assured us that this 600 ft geoglyph was constructed by the Inca, but on board we had the curator of the Paracus museum who said” no” it was done by the Paracus people from 1000 BC to 000 AD some 2000 or years or more before the Inca. 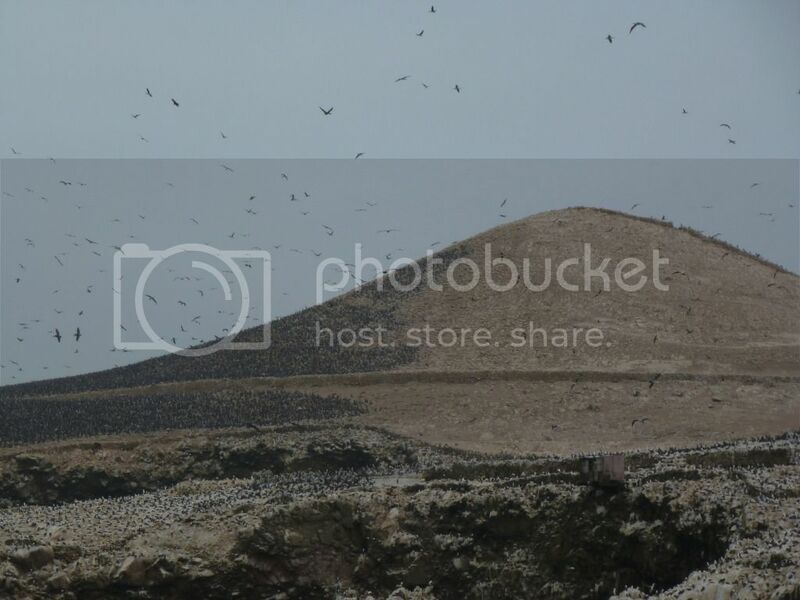 There are some 7 million birds living on these islands and the substantial bird droppings have been collected by the locals for centuries, and used as fertilizer for the main land. There is also a story that the Spanish went to Easter Island and rounded up nearly all the local males including the royalty and shipped them to these islands to collect the “fertilizer” and only 14 ever returned and not too long ago by all accounts. 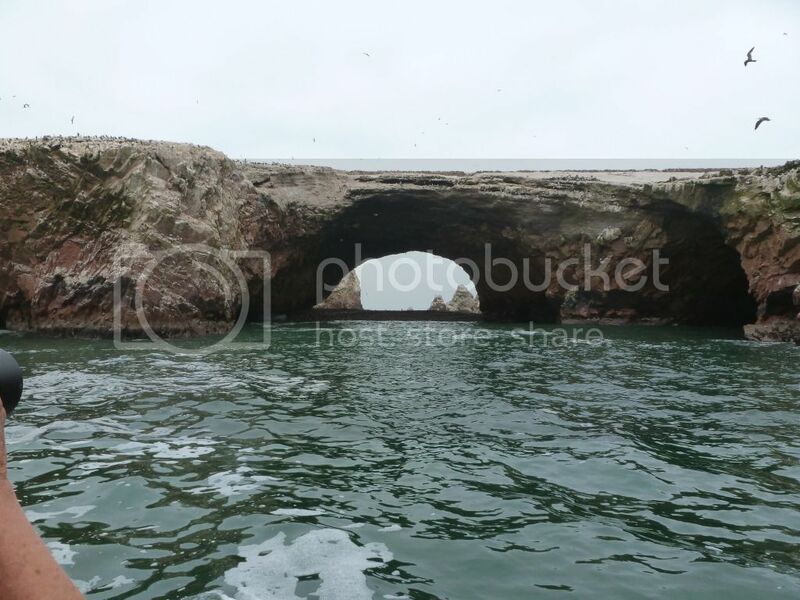 Back to topic, as im sure we don’t need to see pictures of birds, penguins and sea lions. Next stop the museum where we had unprecedented access to photograph ,handle and inspect the elongated skulls. 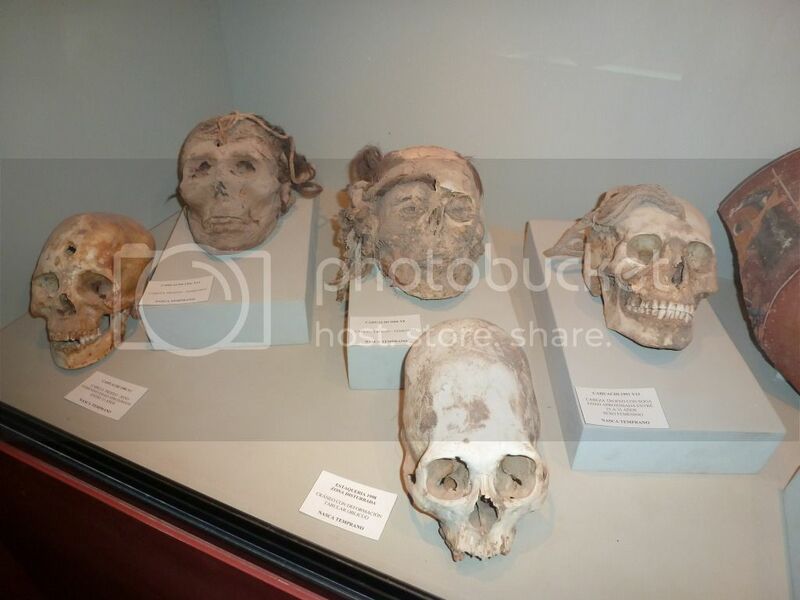 i will start a thread in the future about elongated skulls ,i am part of a team that has sponsored dna testing on ten elongated skulls and the skeleton called Huayqui in Andahuaylillas and the results should be forth coming soon. 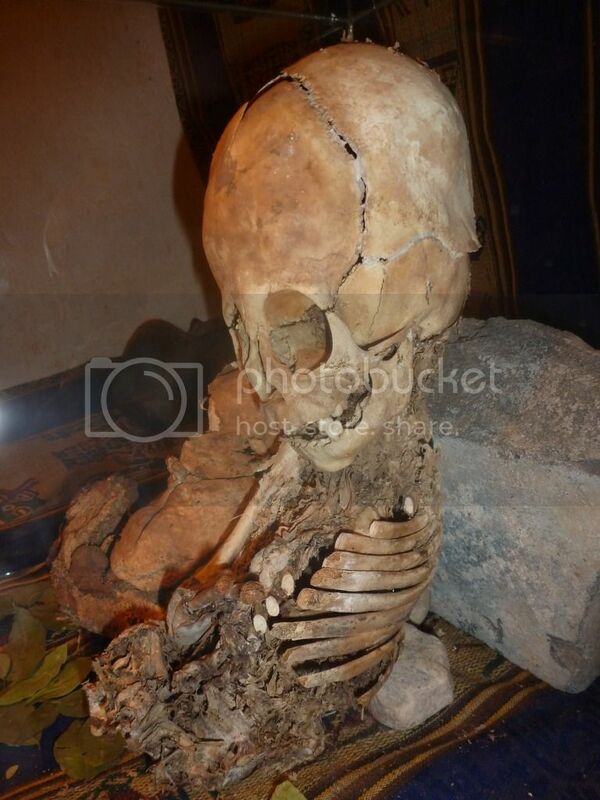 All i can say at the moment is that it is a female ,it's coronal suture is not yet fused together (thats the hole on top of the skull) which indicates the skeleton is between 9 months to 18 months old and it has teeth of a seven year old. 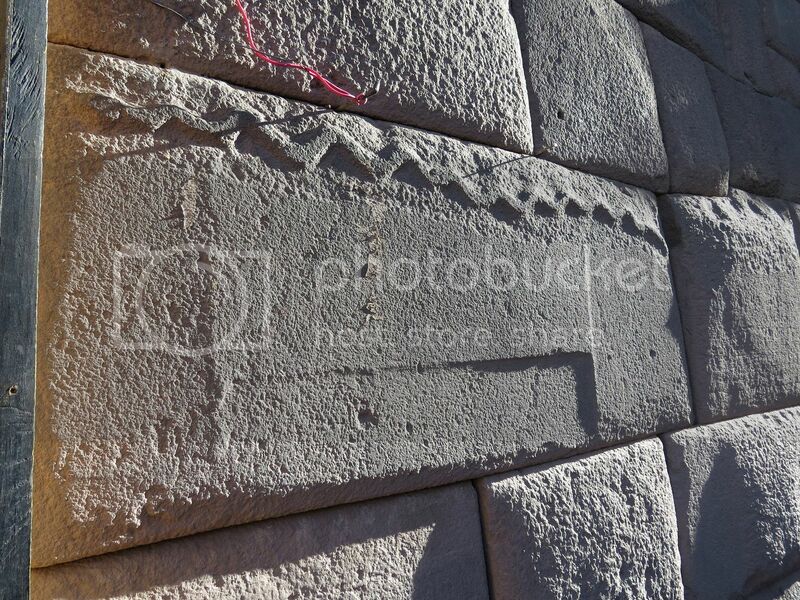 The guidebook tells us that the oldest part of Cusco is built around 1250 AD by the master stonemasons of the Colla ethnic group from the highlands of Lake Titicaca under Manco Capac. The city was destroyed by civil war, and then the Spanish came along in 1533 and finished the job . 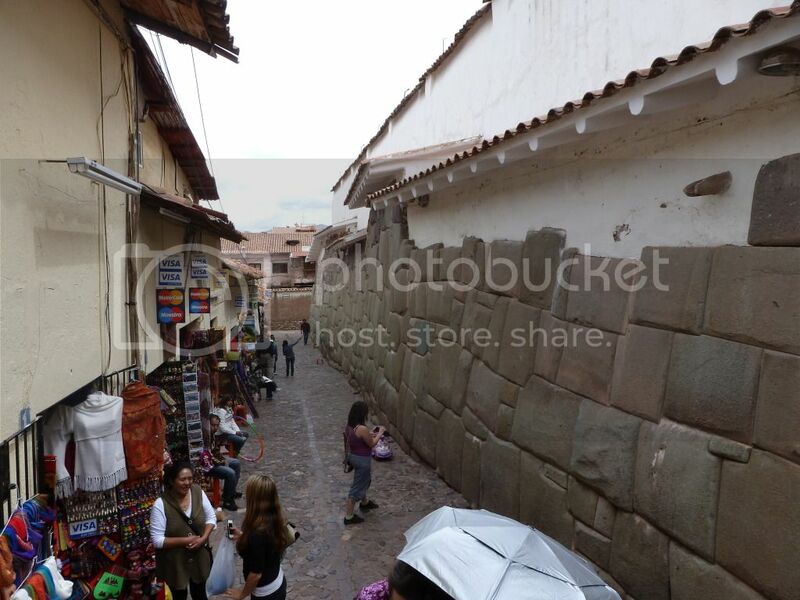 Cusco was then rebuilt using what remained of the older structures, which had two different construction methods. 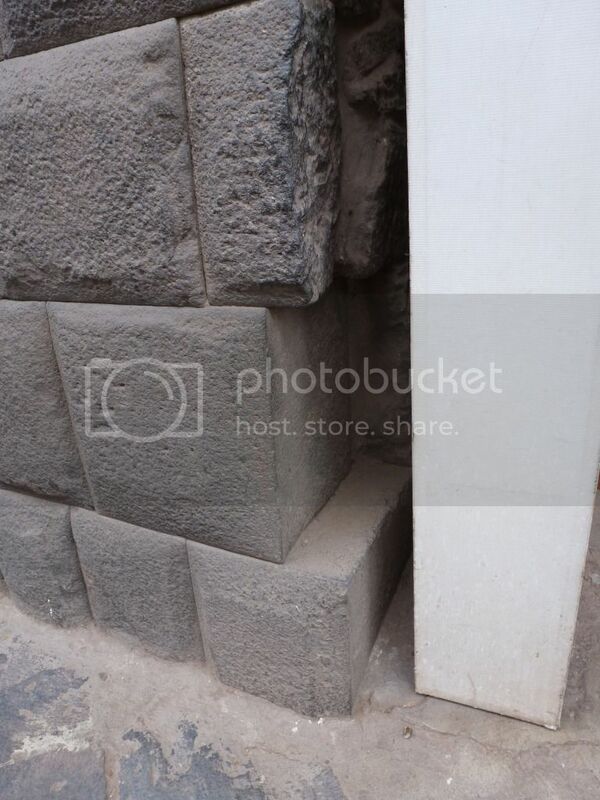 This can be achieved by suspending the stone your about to lay above its final resting place, and then using a gauge stick you remove the material from the already laid block to suit the suspended block. lots of time consuming work and executed quite magnificently. 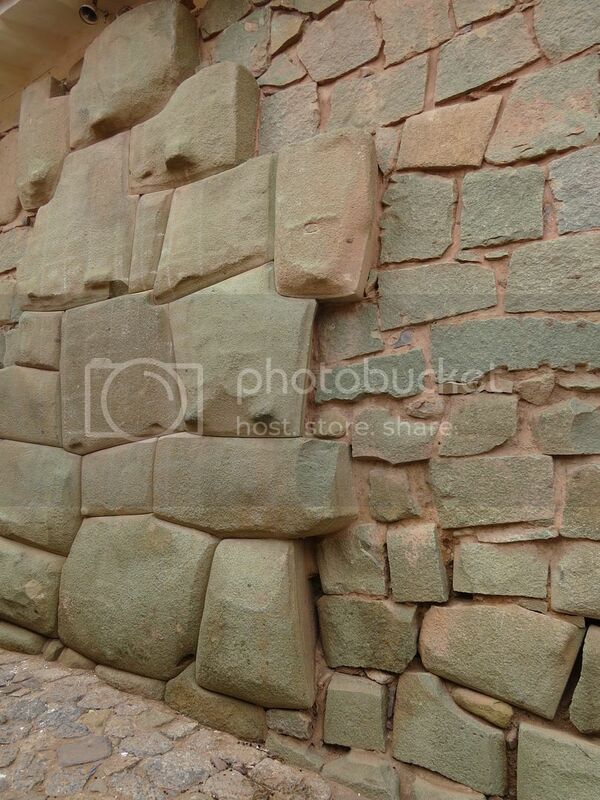 These blocks would be worked mainly in a quarry and sent to the building site as a uniformed order for construction. 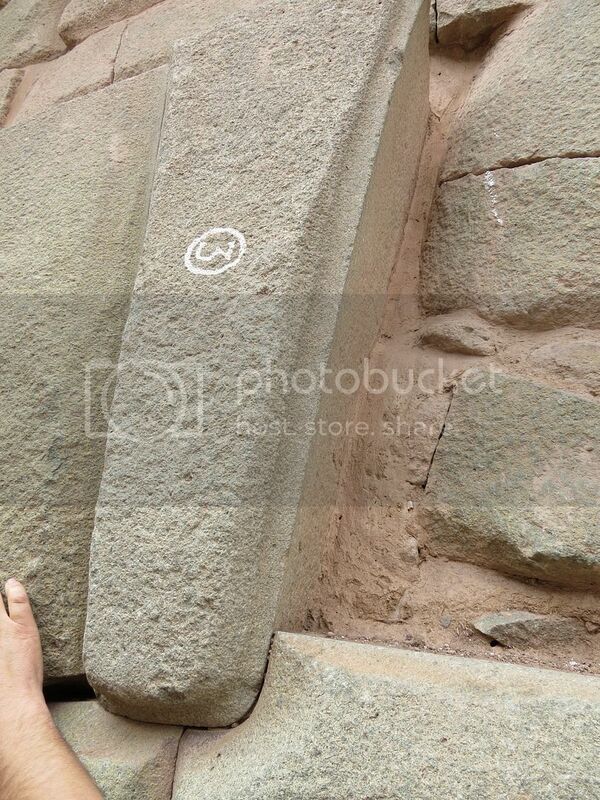 Here brien takes us from the streets of cusco comparing the stonework. 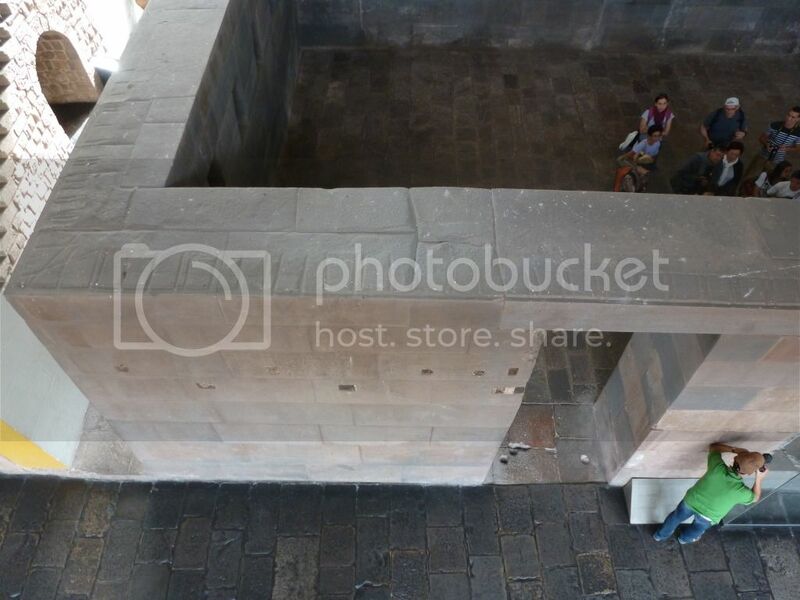 this is said to be the oldest building in cusco built as a royal palace and then turned into a temple , when the Spanish came along they decided to build their church on the top of the koricancha. Here you can see the crude construction work compared to the original building. 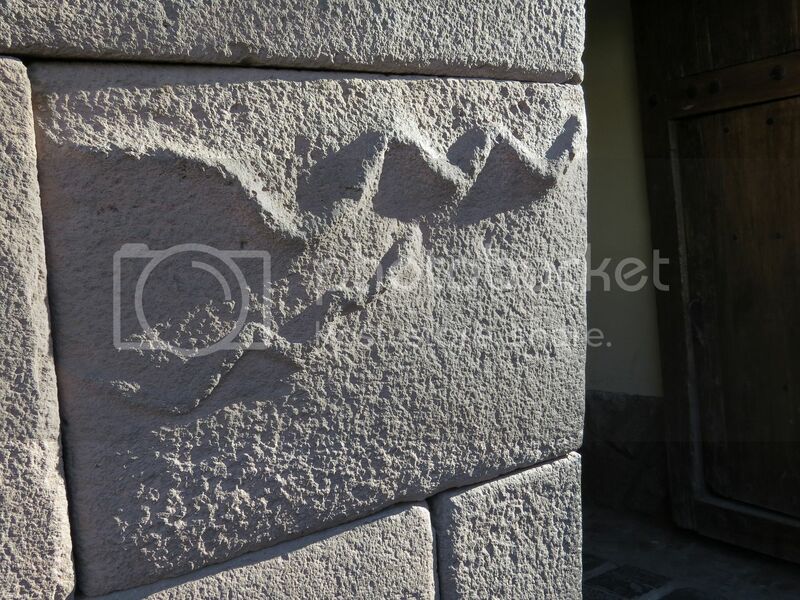 the top image might have been taken after the 1950 earth quake, and it shows a very well built random stone construction built in front of a more amazingly constructed wall. As you can see this masonry is extraordinary ,the builders haven't just dressed each stone's front edge to make a pleasing face, they have gone to the extreme and dressed the whole thing. if dressing the stones to match exactly wasn't enough they then do this. Wow this must be a exciting trip. I've watched so many documentaries on this I wish I could go there. 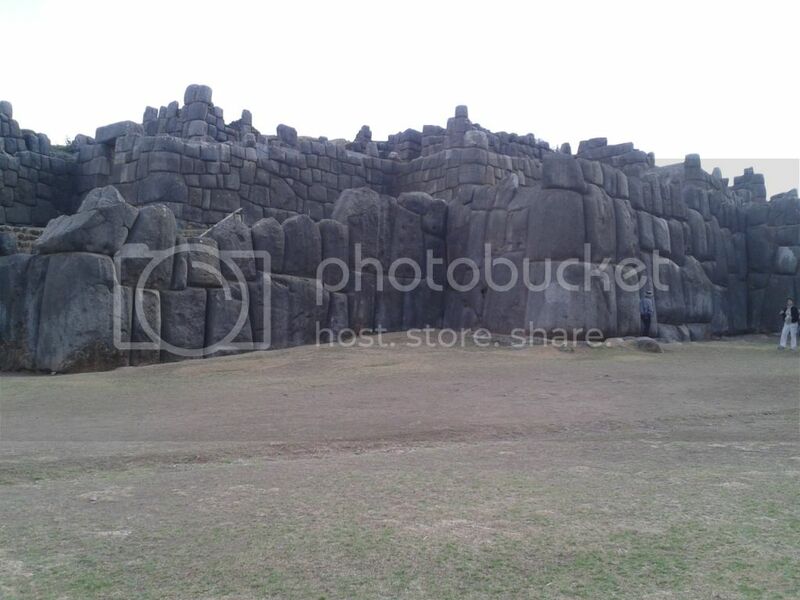 There is so much to be seen in Peru and Bolivia. Keep the pictures coming. The oldest parts are constructed of green diorite; they used red andesite in the gardens and gray andesite for the compound walls. the Mohs Hardness of granite is from 5.5 to 7. The darker the granite, the lesser the quartz, which makes it heavier but less hard. 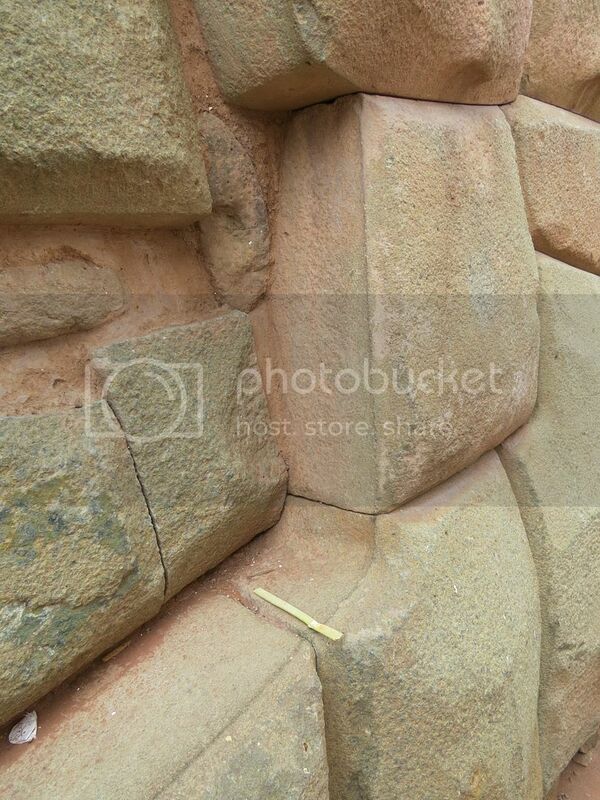 how this type of accuracy is achieved using copper chisels and dolorite hammer stones is beyond me. 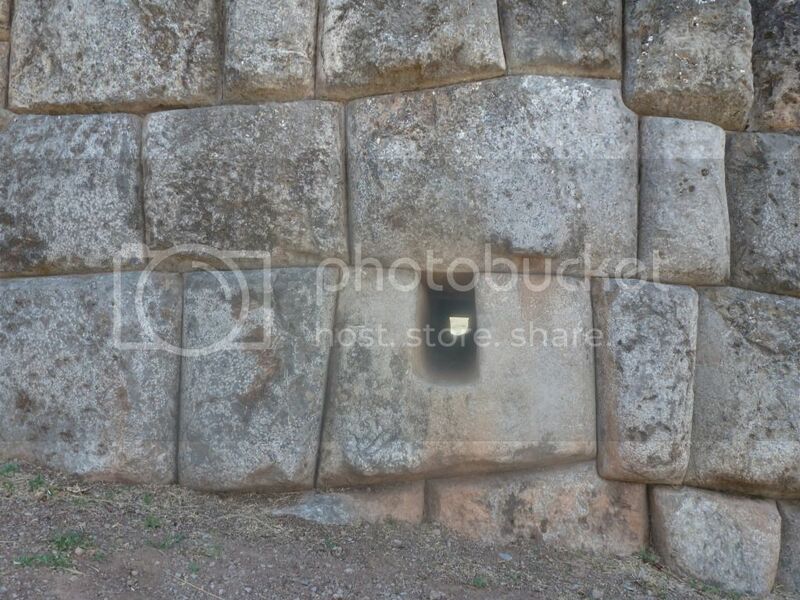 this section of the wall has been crudely cut, probably by the Spanish , but it shows how exact the original builders dressed these stone throughout the whole width of the wall not just at the face. Here again I will use one of Brien’s videos to show the koricancha in all its glory. 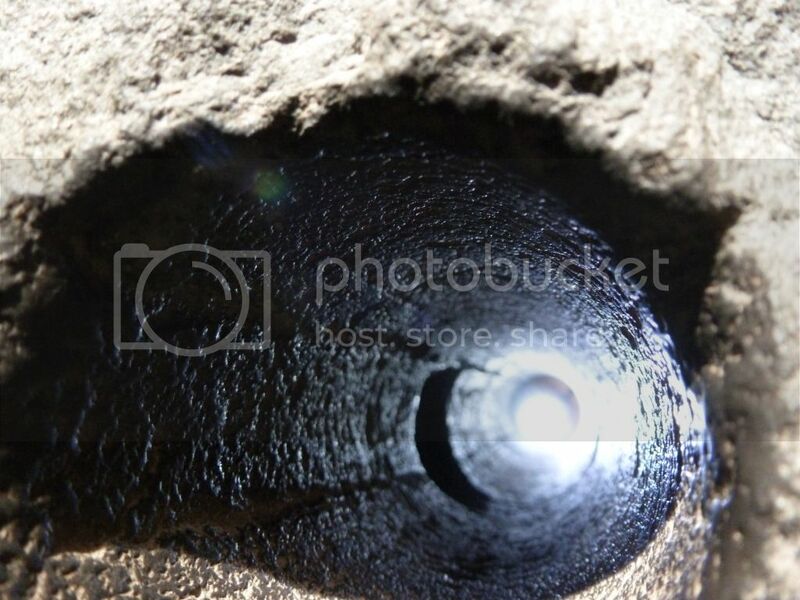 How this drill hole is achieved using tools unknown at the present is a hot topic of debate. disclaimer....... i have used Brien Forester's u tube clips but that doesn't mean i am promoting him, although i know him personally i do not share all his views but to illustrate some of the construction and sites he is the man with the video camera , you can always turn the sound down and just watch. The guidebook tells us that it was built from limestone in 1460 by 30,000 to 50,000 men taking 50 years using hammers of bronze and very hard stone (hematite and quartzite) and were polished using granite sand, plenty of water, clay and plants until their forms and edges fit exactly with the copies or clay molds that had been taken from the blocks that were just above and below them. They calculate that 15 men can haul a ton block up an incline at altitude 10,000 feet above sea level, and some of these blocks are estimated to weigh over a 100 tons. 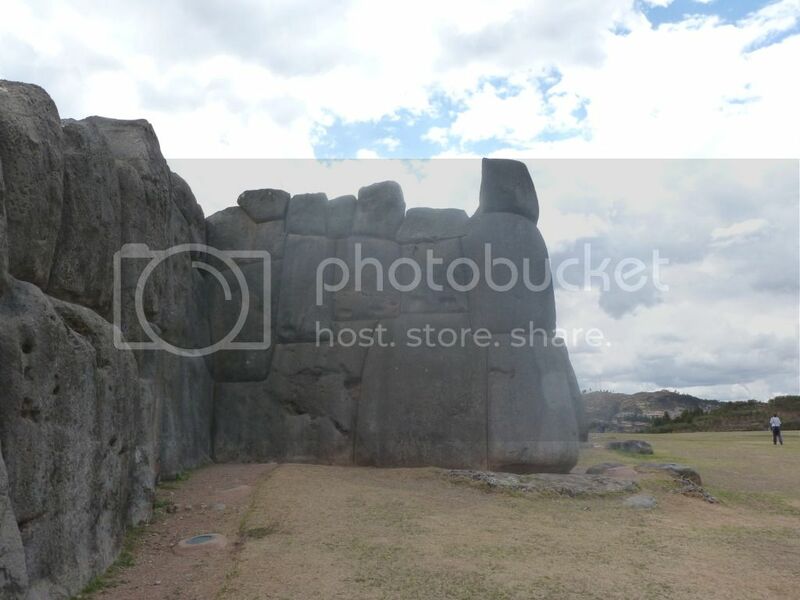 The guidebooks also inform us that Sachsayhuaman was taken apart by the conquistadors and used to build the cathedral in Cusco and other Spanish churches in the area from 1537. 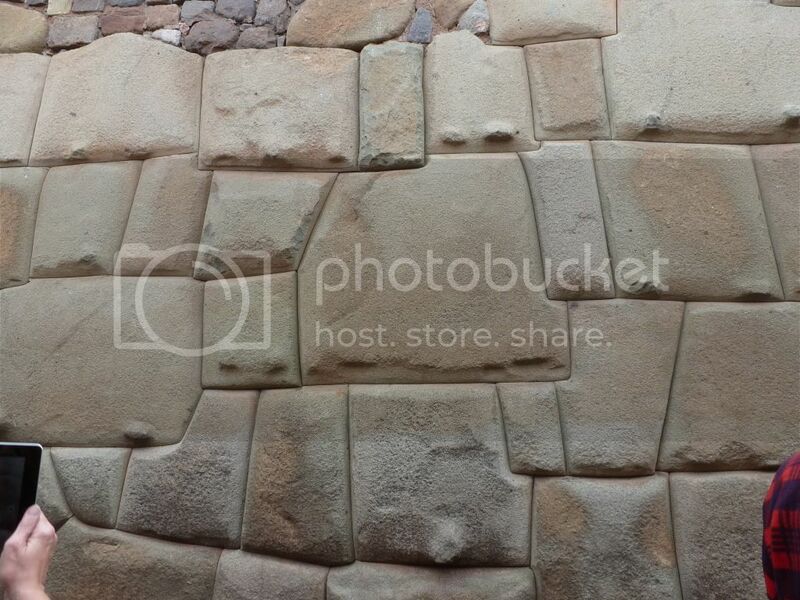 Second coarse of blocks ,six from the left appears to be a face carved into this block more noticeable when the image is zoomed in . 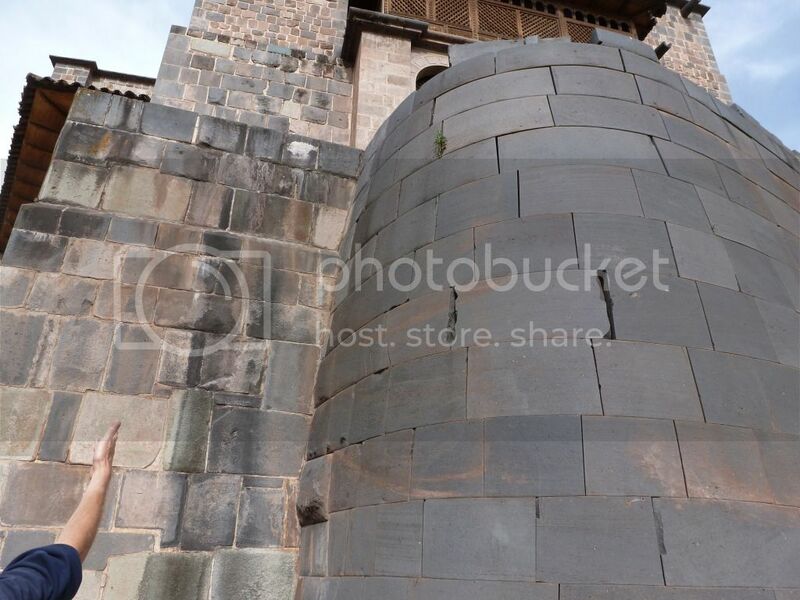 The top sections of the 3 ramparts have been removed and the 3 towers that stood 4 stories high and adorned with gold and feathers are gone, probably the dark andesite adobe blocks seen in the streets of Cusco were part of Sachsayhuaman towers, I guess the Spanish didn’t fancy their chances with the bigger blocks 40 years later. 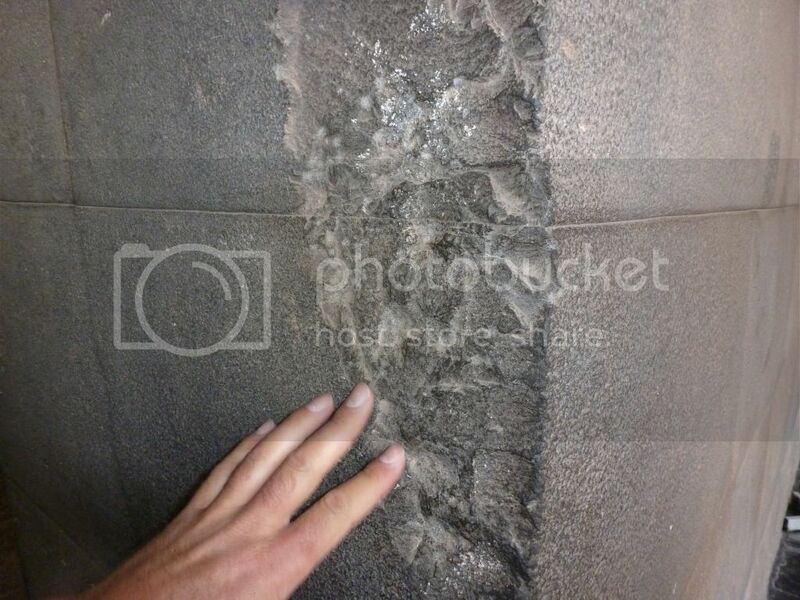 Here you can see tool marks . The image of the snake looks almost scooped out especially near the head. This channel is about 8ft long and it’s interesting to note the sandy colour of the blocks that haven’t been exposed to weathering. 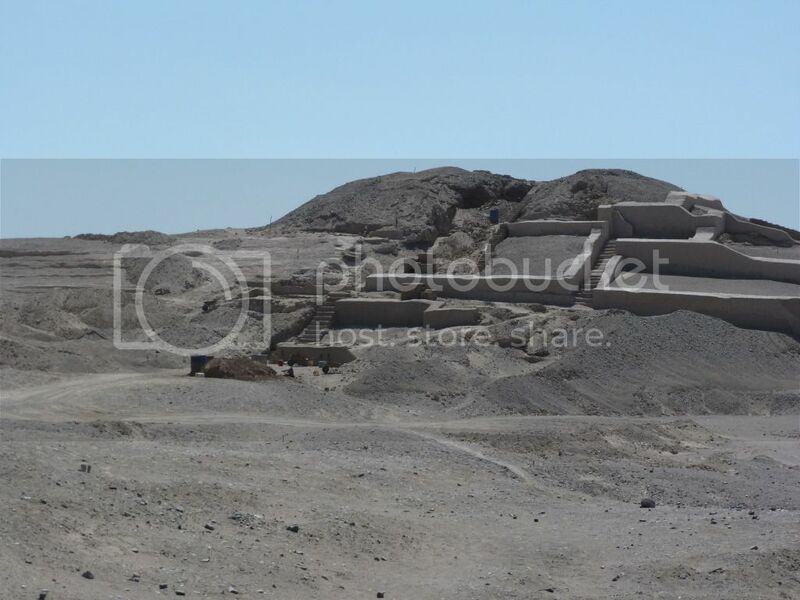 This is the 2nd level and it shows that the natural hill was excavated to form terraces with the blocks laid to form a facade, the stones exposed at this section are worked sufficiently to create a neat joint but the back has just been crudely hacked away. 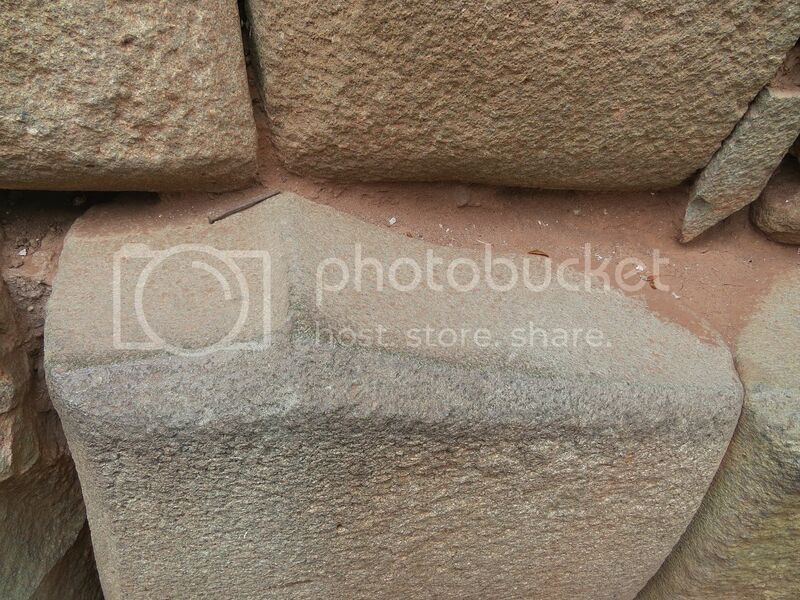 As is apparent in the photo the wall is backed up with an inside layer with a clay infill in-between. 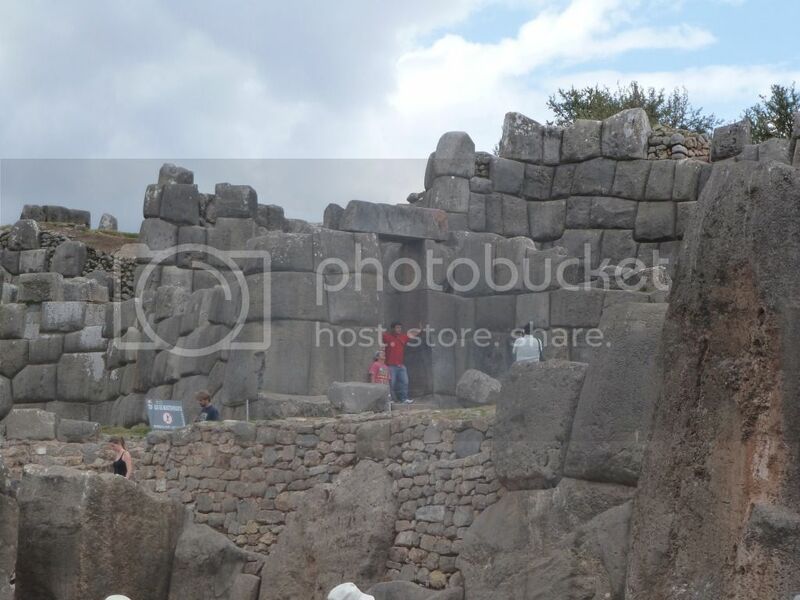 In my view the guidebooks which I have four, all seem to take their information from the conquistadors who re wrote the Inca history after conquering the Inca people and all of them provide no explanation or any clue as to how this place was built. 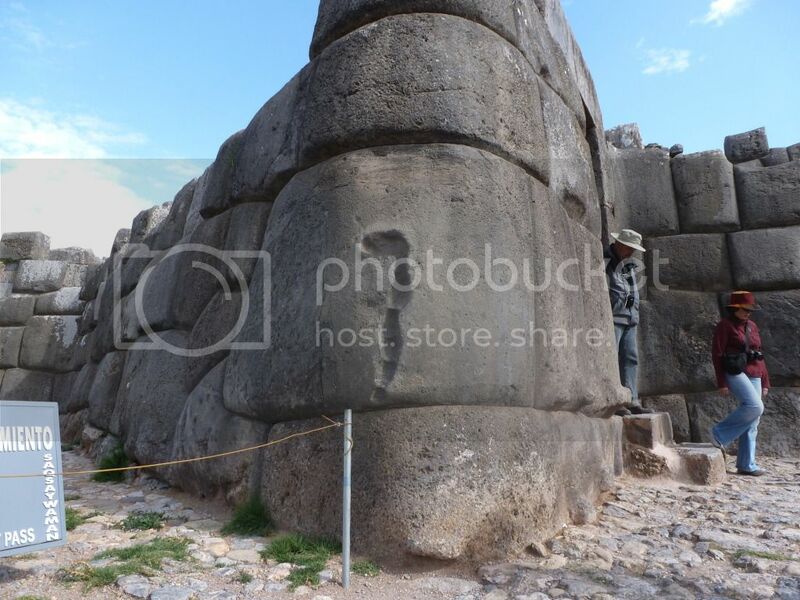 Same old thing, history is always written by the victors, other stories have suggested that the Inca actually inherited this site and others and they were built by giants. Others have suggested that the blocks were somehow softened using a plant extract or a lemon/vinegar type acid ,maybe a sample can be extracted from inside the channel I photographed to clear this issue one way or another. 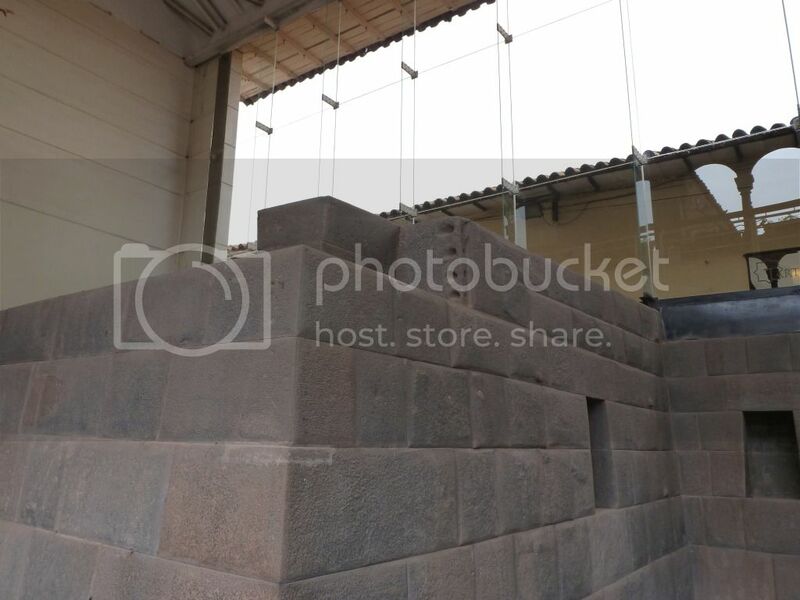 One thing is for sure this is a monumental structure built by real experts in stonework ,not as precise as the koricancha but working with this size of blocks puts it on another level. a proper mystery to be sure. 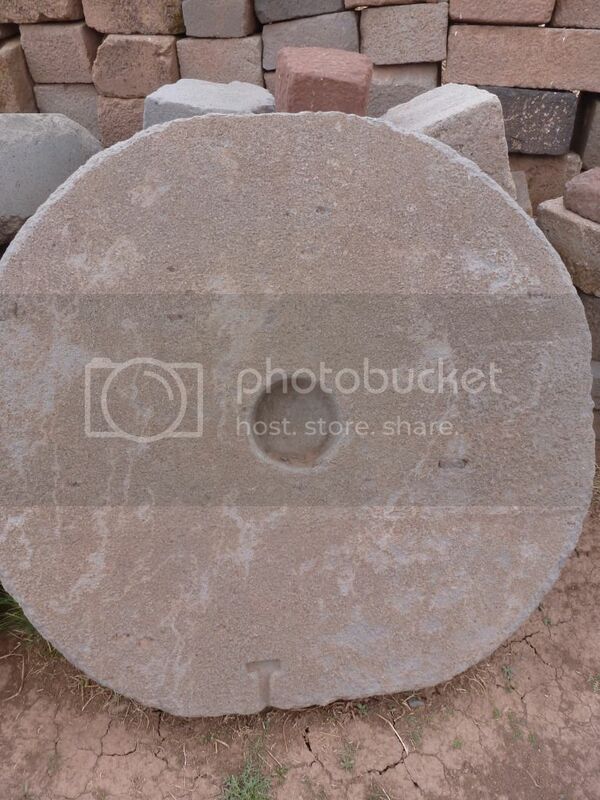 and this one is just propped up against a wall in the Tiwanaku complex , it has a key stone cut ,so it might have started life as something else before being re cycled into a wheel, also the center hasn't been drilled all the way through, and you can just make out a slight raised portion going through the center. 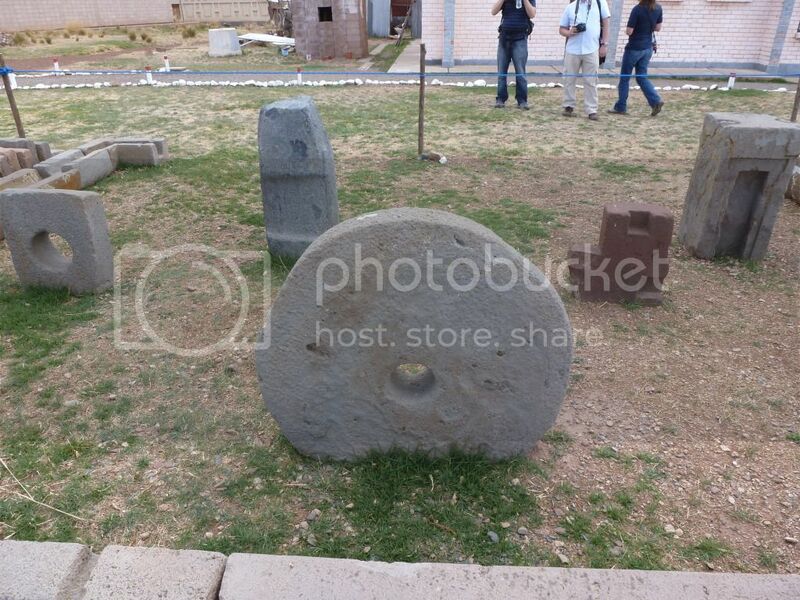 whether these wheels/millstones are of Tiwanaku origin or from a later date , your guess is as good as mine. 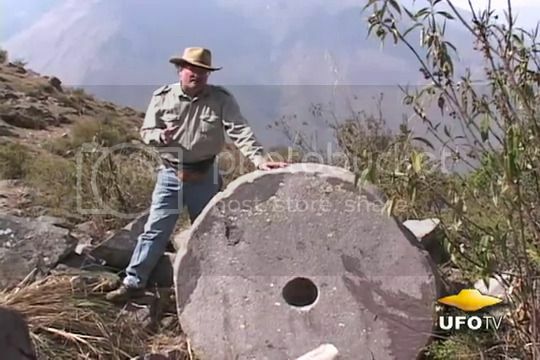 this next image is from the quarry at ollaytatambo , i wasn't able to see this for myself , but what a wheel is doing half way up a mountain in a Inca quarry is indeed a puzzle , my guess would be that it was used to sharpen the quarry men's chisels ,but why the need for it to be so big is another question , i could be way off and it may not be Inca at all but Spanish .........again your guess is as good as mine. here is a link to pre columbian wheels , so the concept of the wheel was known. these wheels are a mystery ,i cant see them being used for transporting stone because the terrain is unsuitable , my hunch would be that their grinding stones and could have quite possibly been powered by a water mechanism . 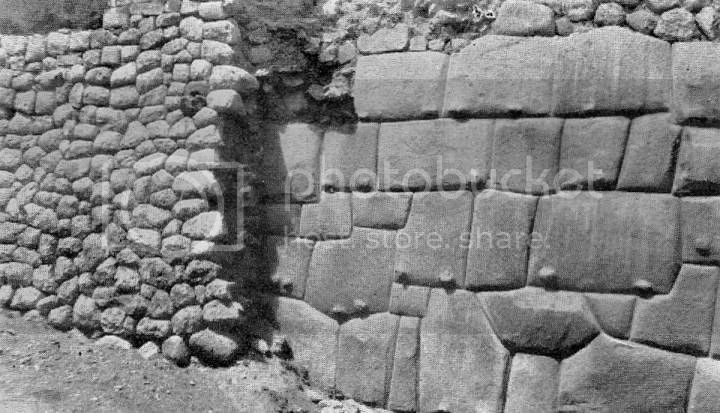 As for how the stones were cut here's a image from ollaytatambo quarry suggesting that chisels and hammer stones were used to shape the stones. and here are two field experiments putting his theories to the test . 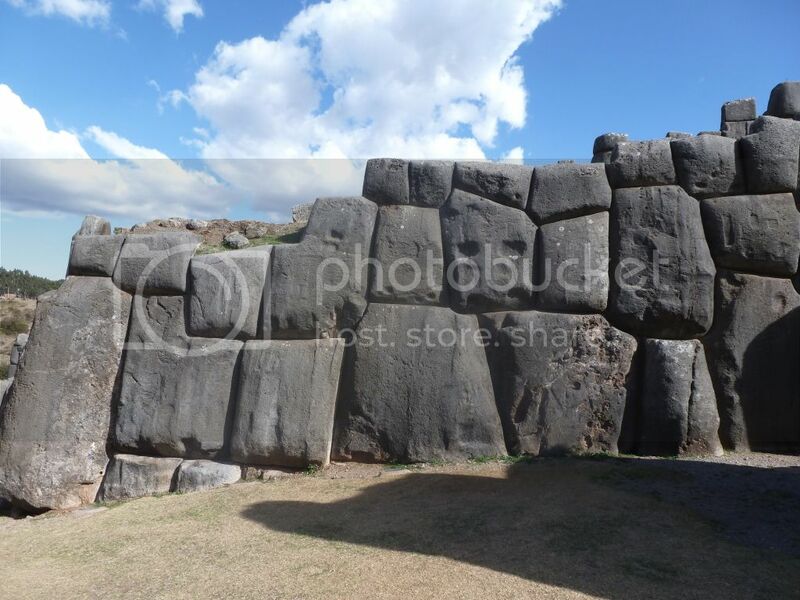 from the literature and the field experiments proposed by Protzen , although not perfect by any means , he does put a strong case that advanced technology wasn't required to build the Inca monuments . 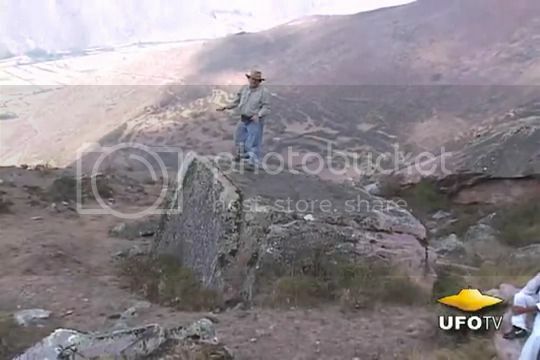 however on a side note I'm still looking into the possibility that some of these monuments that have been labeled Inca might have only been usurped by the Inca's and that other's may have built the megalithic block structures but thats for another day . I have some more pictures here. OH no, not this topic again! How much more can we take of polygonal masonry and the fraud Brien Foerester selling his books and tours by subtly making alien implications to gather interest....and elongated skulls..AGAIN.. ! No disrespect to the OP, but some of us here have been discussing Foerester and Cusco for far too long now. You misunderstand Seeder, the OP just wants to show his pics, he told us several times that he does not agree with the weirder theories by some. Mind you if I were you I would check through the pics, I'm 100% sure you'll find something very interesting. I don't see how those underwater sites at Yonaguni could be natural. sure thing and have found some of particular interest! Hey OP, apologies if I seemed harsh, looks like a great holiday, and something I myself may one day go see! Its just that we have had an aggravating 600 page plus thread on the damned walls and how aliens must have done it. Don't worry, you will see what I mean when the entity called ZOSER arrives, no doubt shortly too. Thanks poppet, for the great pics and info. ... 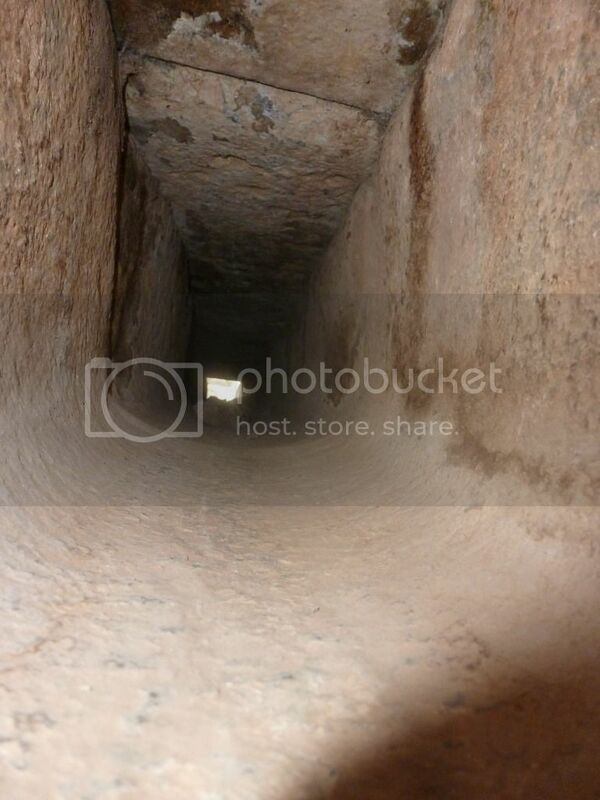 So, some of THE walls are dressed inside throughout their width , I've always wondered about that. That makes them even more impressive ! 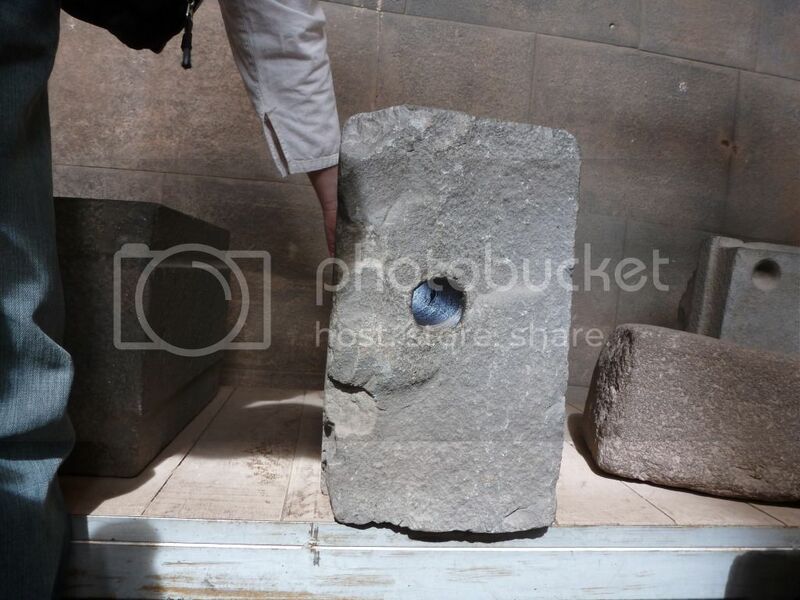 I think those stones aren't authentic relics, has there been any studies done on them before ? 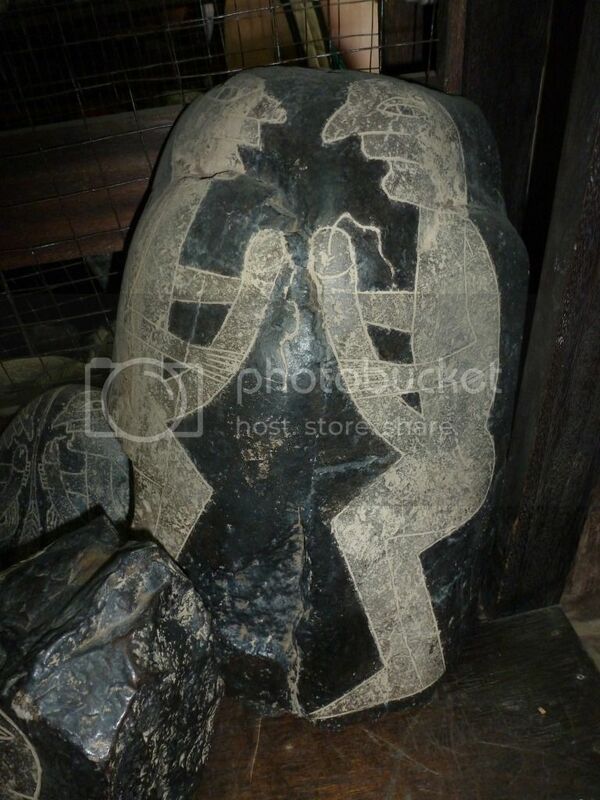 the figures doesn't look ancient, it looks like something trying to look ancient to me. I once met Javier Cabrera Darquea (the guy who possessed a zillion stones depicting native Americans playing with dinosaurs, natives looking through telescopes, and all that) in 1991. His little museum was located at the central plaza of the little town of Ica. His museum was incredible: from top to bottom, from wall to wall, in literally every nook and cranny were these engraved stones. Soon after I entered, he came from a back room, and we introduced ourselves to eachother. One of the first things he asked me was what I had studied. My answer was 'chemistry'. Then I asked him if I could see those stones from up real close, and it was ok. I still remember I thought, "I can make those engravings! ", but I didn't tell him. He didn't say much, and I didn't have much time to wander around in his museum for much longer because else I would miss my bus (a 4 hours drive to the north; and yes, I missed my bus... something else to experience: feeling lost in country like that). 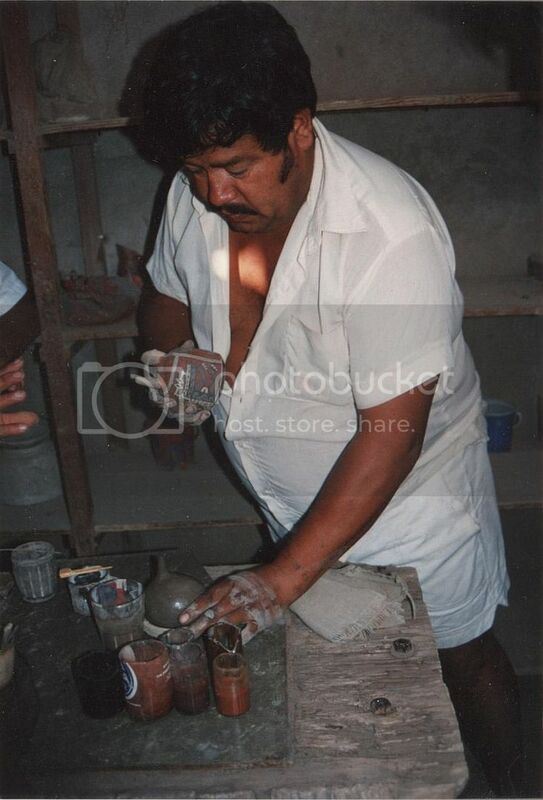 I don't know what he had heard me say, or maybe he assumed I thought he was one of those who made those fake stones for Cabrera, but he nearly exploded: he almost yelled in my face, saying that he was NOT ONE OF THOSE FRAUDS, and that he only recreated the ancient pottery because he wanted his ancestors' art to be preserved for humanity. OK, so I excused myself and said I never intended to even suggest he was one of Cabrera's men. He cooled down, excused himself too for his outburst... and asked me if I was interested in buying another of his pots, lol. 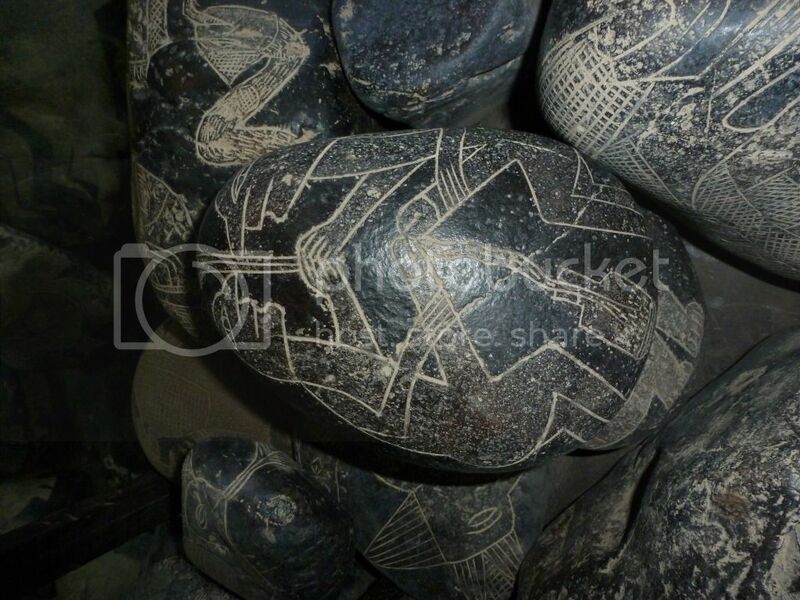 quote: "The Ica stones are a collection of andesite stones that bear a variety of diagrams, including depictions of dinosaurs and what is alleged to be advanced technology. They are not considered to be genuine archeological artifacts but instead were recently created by Peruvian locals as curiosities or hoaxes." anything for some tourist bucks eh? I am really glad you post all these excellent photos !! 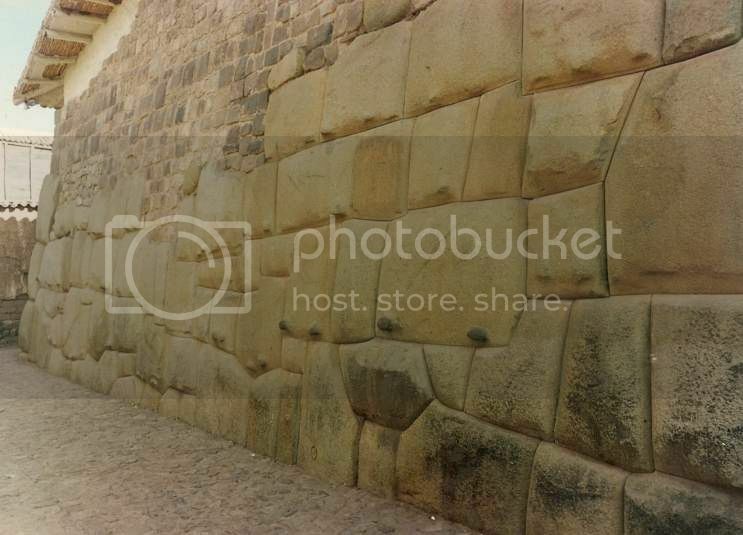 I have some 500 of Peru/Bolivia myself, but most are of a lousy quality because I assumed it would be a good idea to take a cheap camera along (in case of theft)....and I still regret it after 21 years. 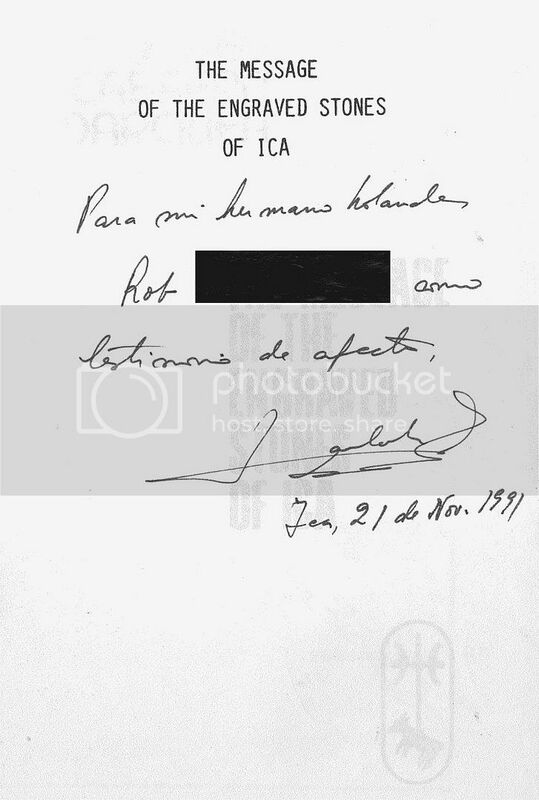 ~edit : I always thought the Ica stones were tiny .... I wonder why ? 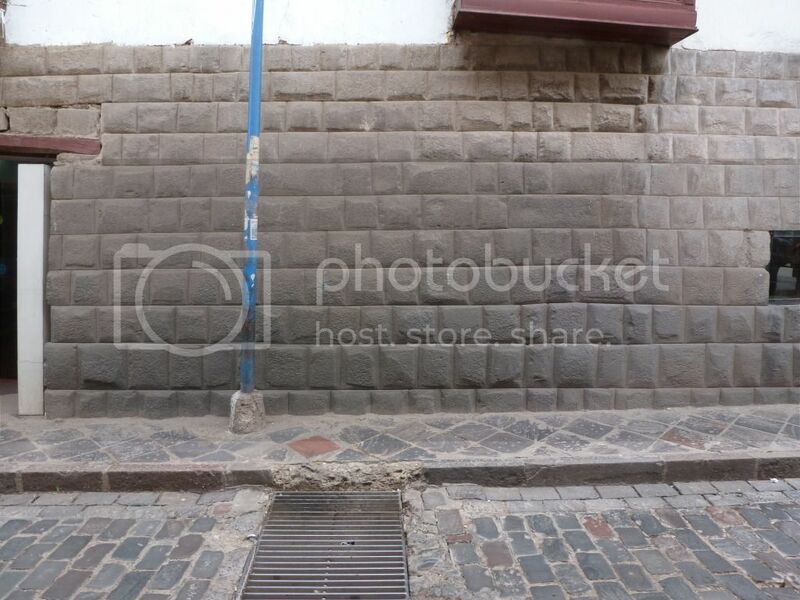 Poppet, I am very curious to know if you have visited Arequipa during your trip. I took a photo of that skull, but when I had the negatives developed, the photo turned out black. Well, read the post I linked to (and the responses I got, from dear ol' Legioromanes, lol). 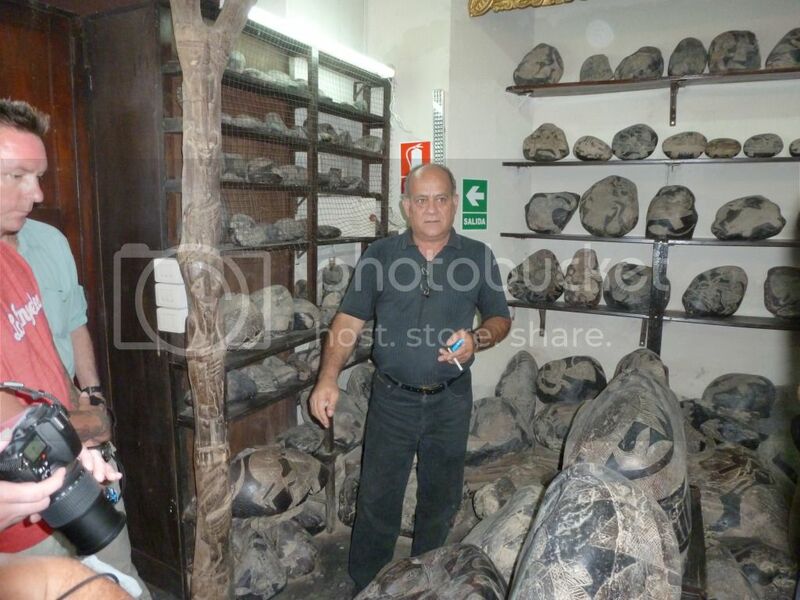 Same thing with the photo I took of Cabrera in his museum in Ica, sigh.